New Products - Candi Syrup, Inc. 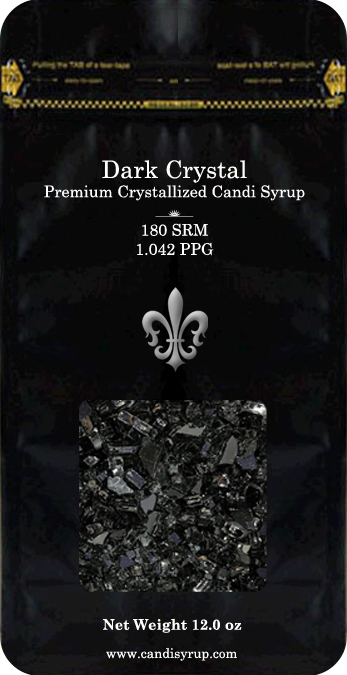 Dark Crystal™ is our all natural Premium Extra Dark Candi Syrup in solid crystalline form. Dark Crystal™ has 100% of the SRM, fermentability, and exact flavor profile of D-180. It has rapid re-hydration properties and can be stored unopened at room temperature for up to 3 years without any affect on quality. Dry, easy to handle, easier to weigh precision amounts, and much easier to ship and store.